Last year marked the release of the newest version of ‘Living Confidently With HIV – A Self-Help Book For People Living With HIV’. This is a book which Dr Claudia Herbert co-authored and we have been pleased with its positive reception by those dealing with HIV and also those working within the field of HIV treatment and care. This article showcases a book review which the journal ‘HIV Nursing’ wrote, with the hope of highlighting some of its most helpful use cases and showing how the book can provide a positive aid to dealing with HIV. 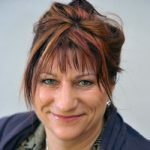 The review was written by Michelle Croston, a Specialist Nurse at North Manchester General Hospital. We’ve included a link here to read the full review as a PDF version. Please feel free to share this with anybody who you think might benefit from this as we would like the book to have a positive impact on as many lives as possible. 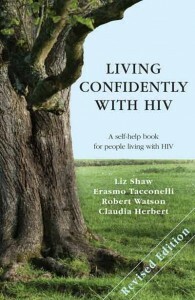 ‘Living Confidently With HIV – A Self-Help Book For People Living With HIV’, can be accessed in a number of formats. For a traditional paperback version you need to visit the book’s Blurb page. The book can also be downloaded to read on a Kindle or tablet from its amazon page. For iPad and iPhone users it’s also available from the iTunes store. To read about the book in greater depth you can visit the ‘Living Confidently With HIV’ book webpage.